“Academy Award®-winning director Alejandro G. Iñárritu’s conceptual virtual reality installation CARNE y ARENA (Virtually present, Physically invisible) explores the human condition of immigrants and refugees. Based on true accounts from Central American and Mexican refugees, CARNE y ARENA blurs and binds together the superficial lines between subject and bystander, allowing individuals to walk in a vast space and live a fragment of a refugee’s personal journey. Awarded a special Oscar last year, CARNE y ARENA is a six-and-a-half- minute solo experience that employs state-of-the-art technology to create a multi-narrative space with human characters. The project reunites frequent collaborators Iñárritu and three-time Academy Award®-winning cinematographer Emmanuel Lubezki, alongside producer Mary Parent and ILMxLAB. 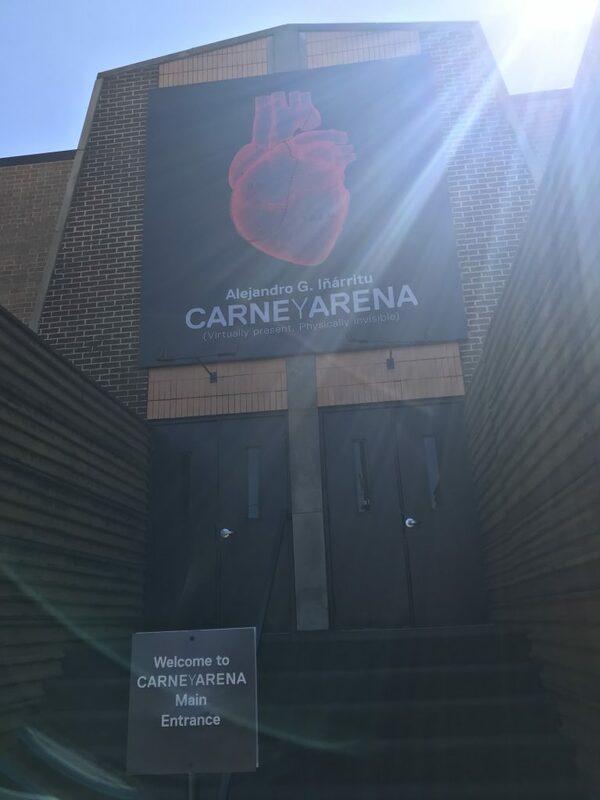 CARNE y ARENA premiered last May at the 70th Cannes Film Festival as the first virtual reality project to be featured in the festival’s history, prior to touring internationally to the Fondazione Prada in Milan, the Tlatelolco University Cultural Center in Mexico City and the Los Angeles County Museum of Art (LACMA). Located in the H Street NE corridor, CARNE y ARENA is proud to partner with the Atlas Center for Performing Arts on community outreach. Additionally, programming around CARNE y ARENA will include a panel discussion with Iñárritu hosted by The Phillips Collection this spring. Check back for future programming and event updates. FridayGirl OMG. That's terrible. I'm so sorry!